Building on its strong experience and to complete its global offer, E-Mobilia has created 4 removal solutions to respond to all the characteristics and expectations of its clients. 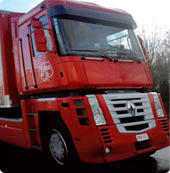 E-Mobilia offers its partner clients different approaches in terms of management and support for removal services. Entrusting move management and coordination to E-Mobilia, requires specific and adapted processes. These normalized quality processes apply as much in France as worldwide, for services transiting through France or elsewhere. 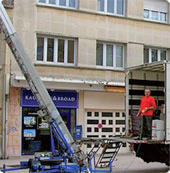 So E-Mobilia works with professional movers, members of the Chamber syndicale du Déménagement and (or) Nf and Iso compliant. Our clients entrust the management and coordination of their removals to E-Mobilia, we guarantee a quality, normalized operational process for employees and future employees of the company, in France but also internationally, if necessary. 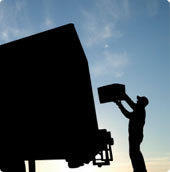 E-Mobilia exercises the role of coordinator and manager of the removal services. Establishment of several quotes from E-Mobilia partners coordinated by E-Mobilia. Demeco group, with 240 agencies, Bailly group with fifteen agencies, and independent regional partners make up the E-Mobilia removal network. The interaction between these different companies would not be possible, due to their divergent visions and spirits, without the coordination of E-Mobilia.